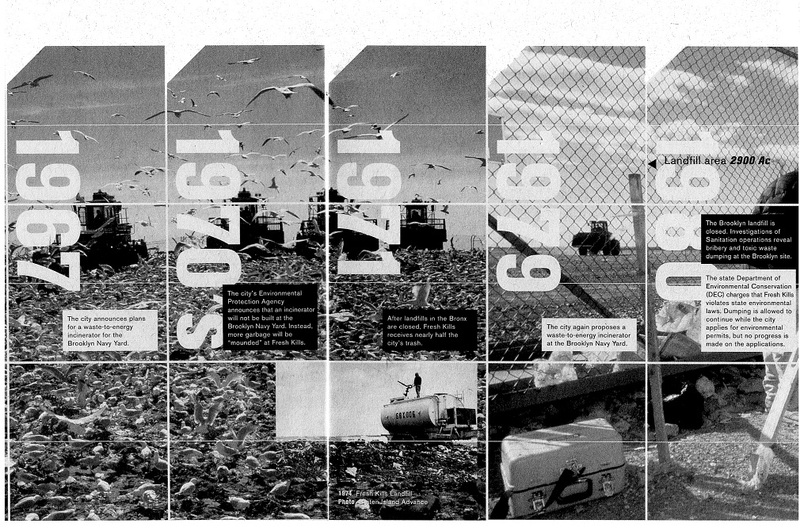 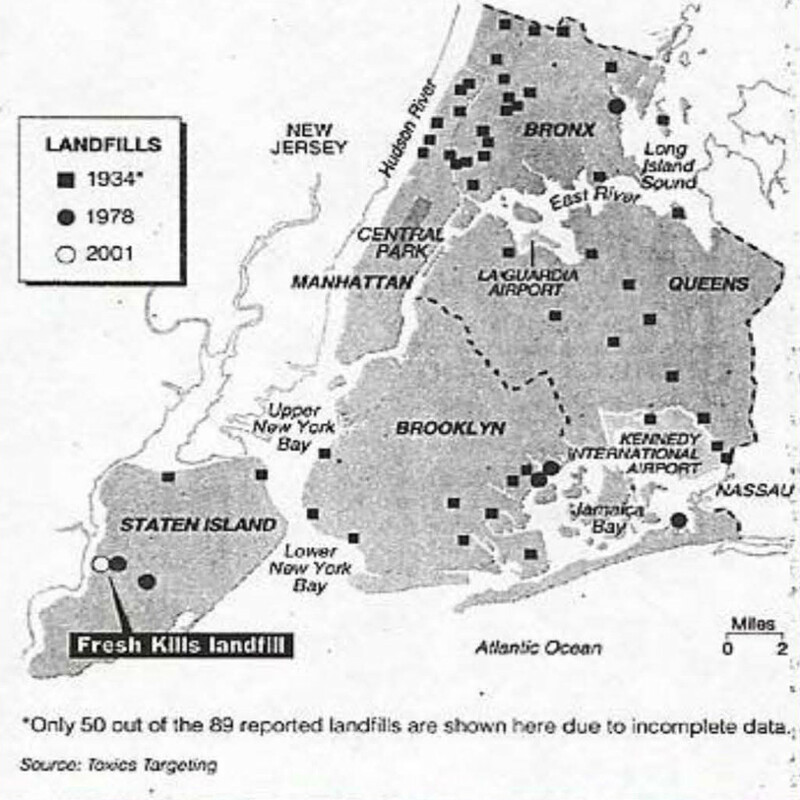 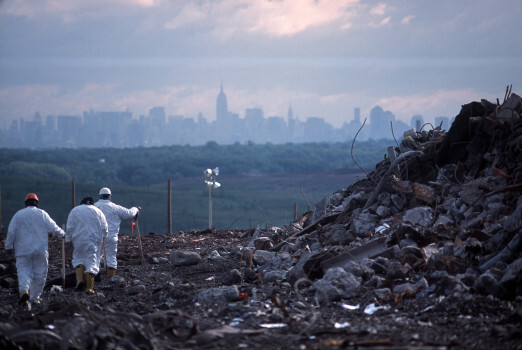 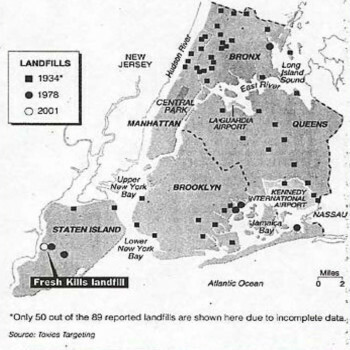 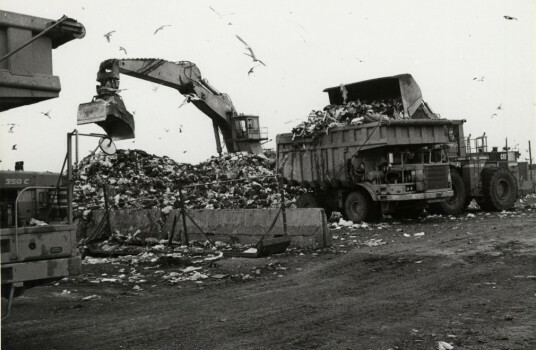 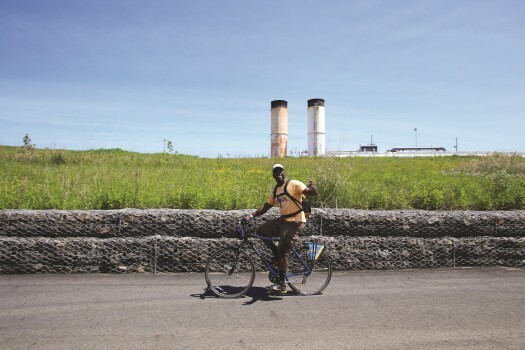 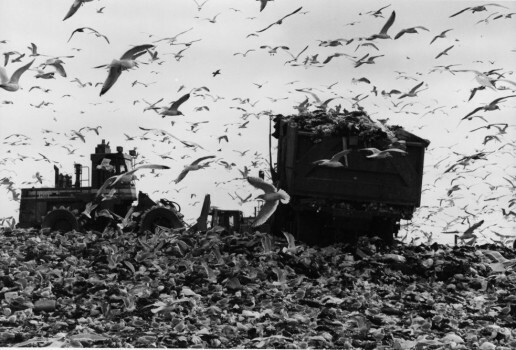 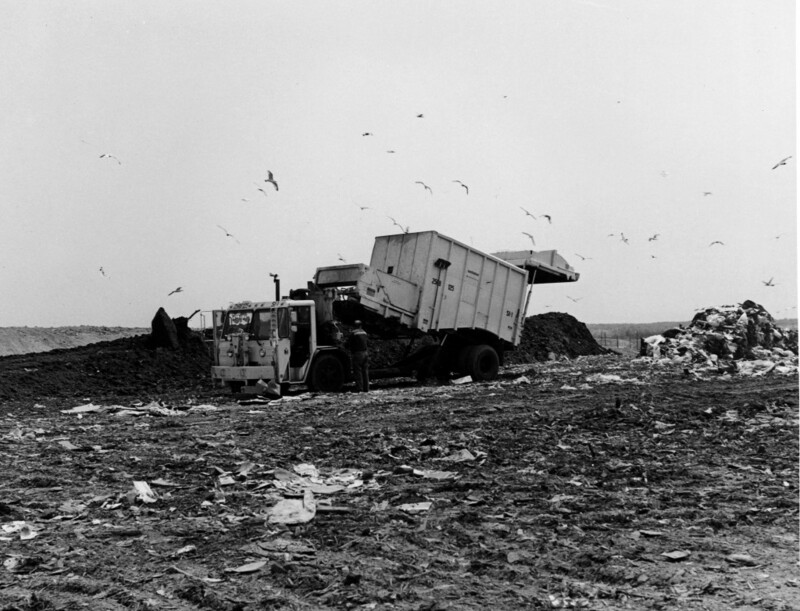 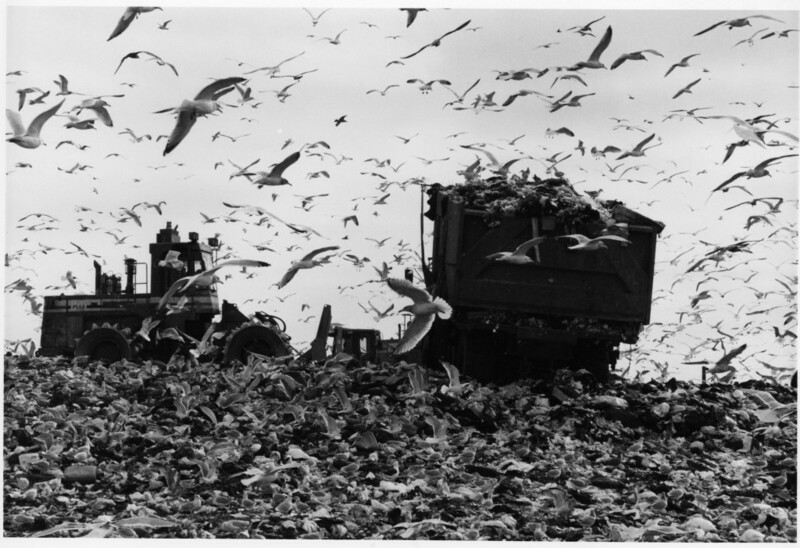 After landfills in the Bronx are closed, Fresh Kills received nearly half the city’s garbage. 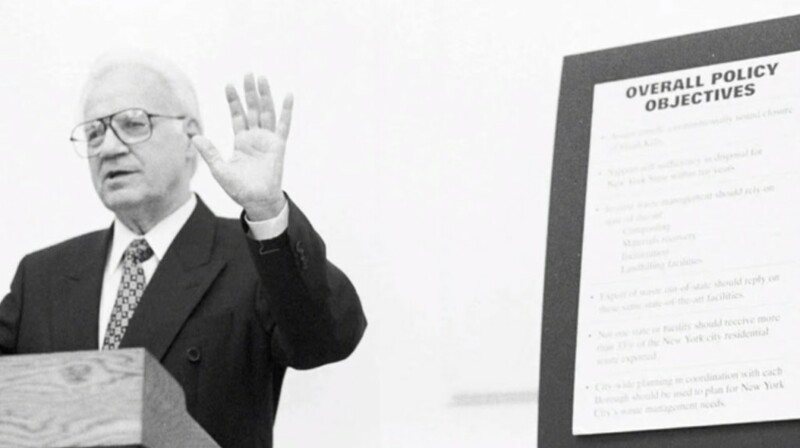 Image: DSNY Photo Archive. 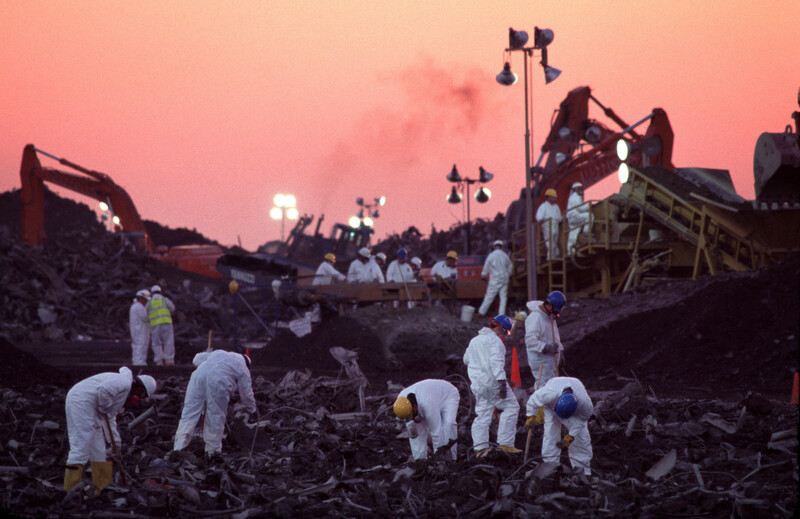 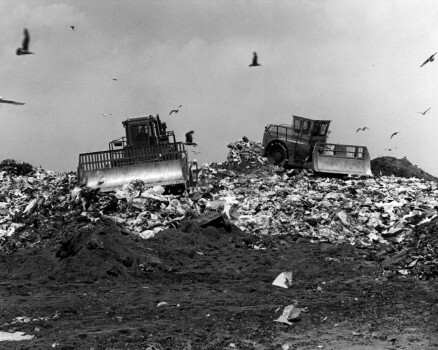 New York State Law was passed requiring the landfill to cease accepting solid waste by December 31, 2001. 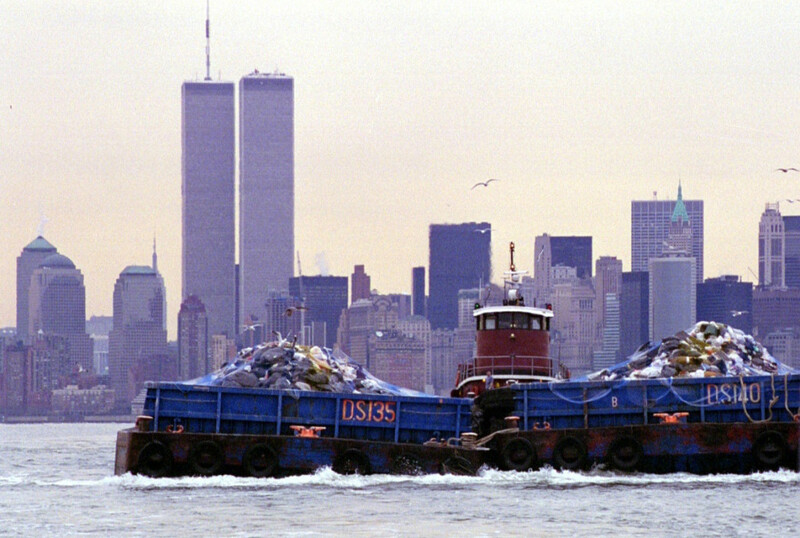 Image: DSNY Photo Archive. 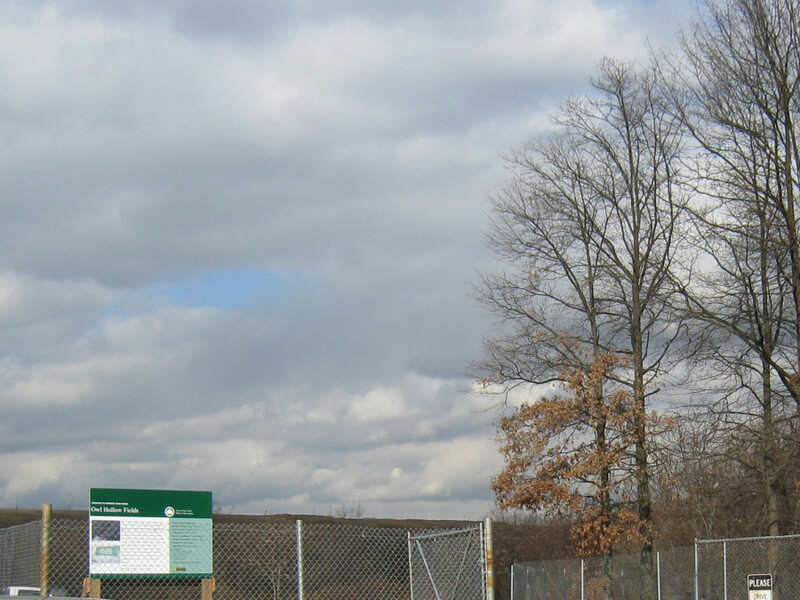 North Mound was capped soon after South Mound. 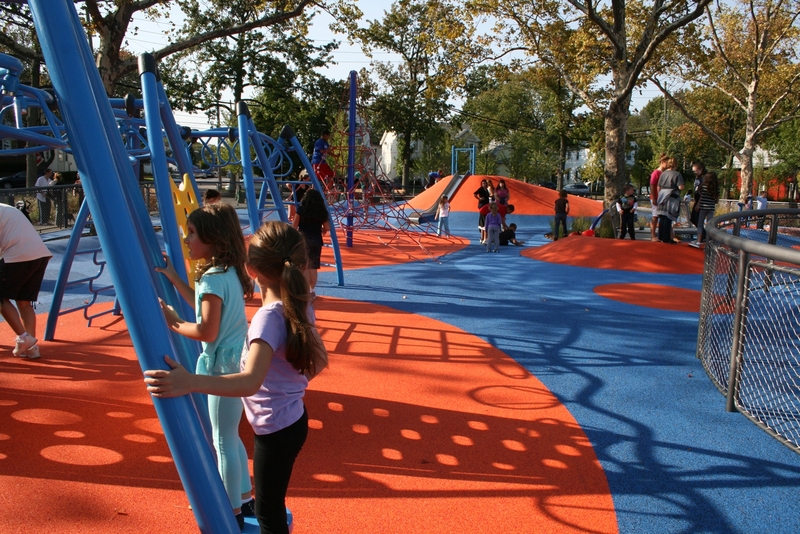 This 233-acre section is close to Schmul Playground and the Travis neighborhood. Learn about the plan for North Mound. 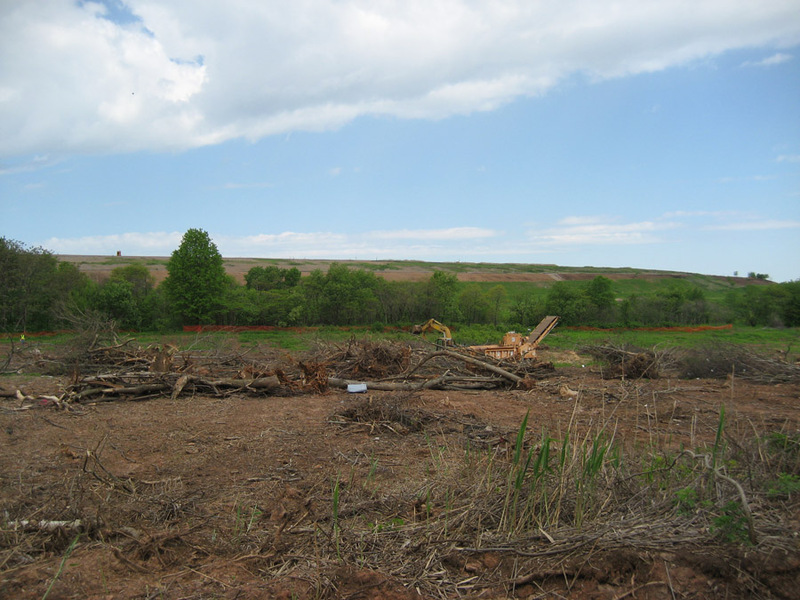 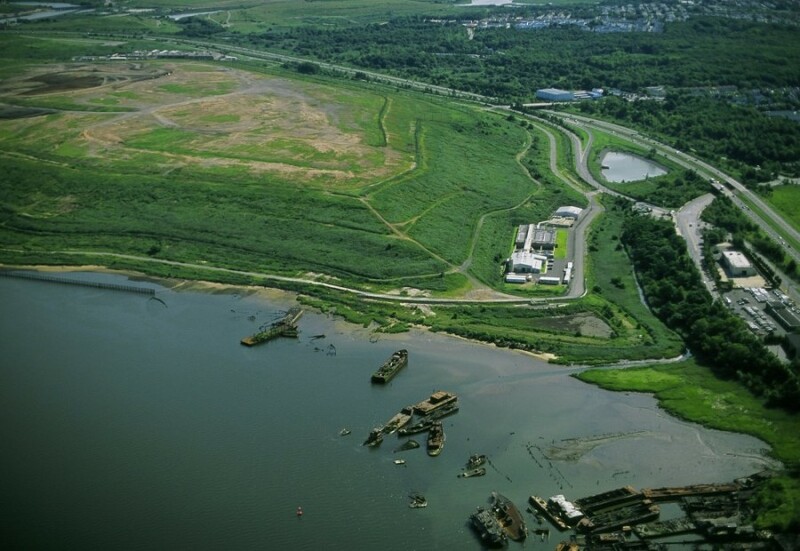 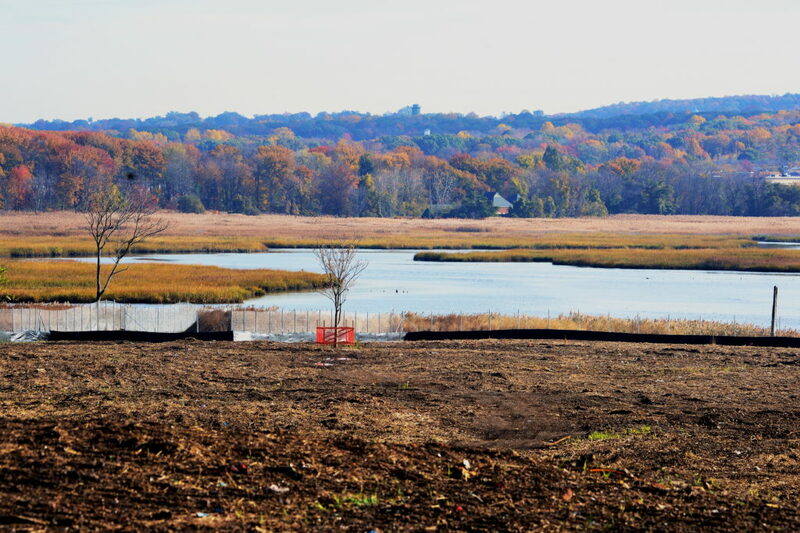 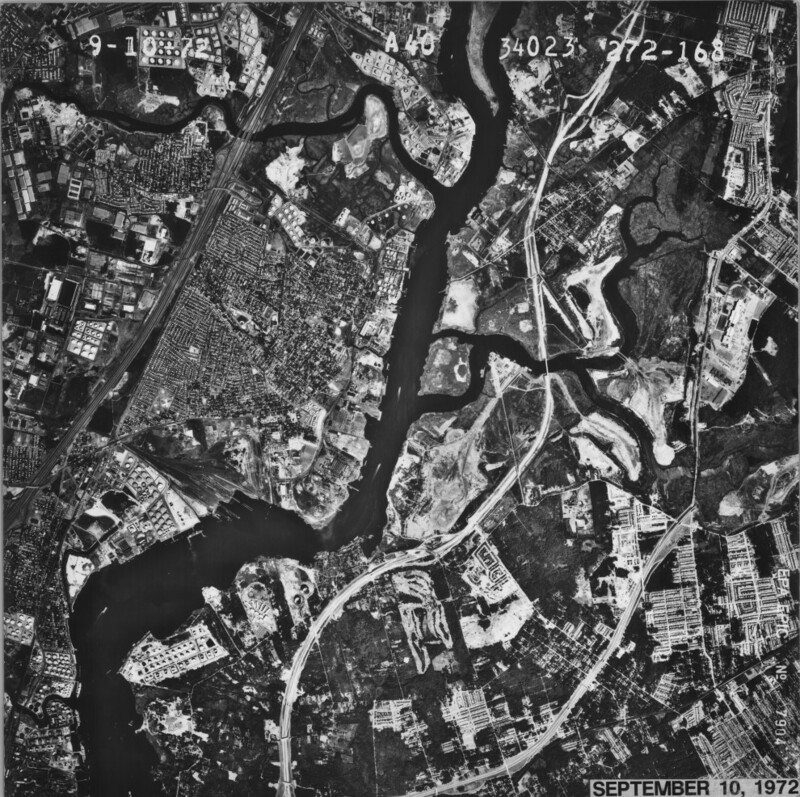 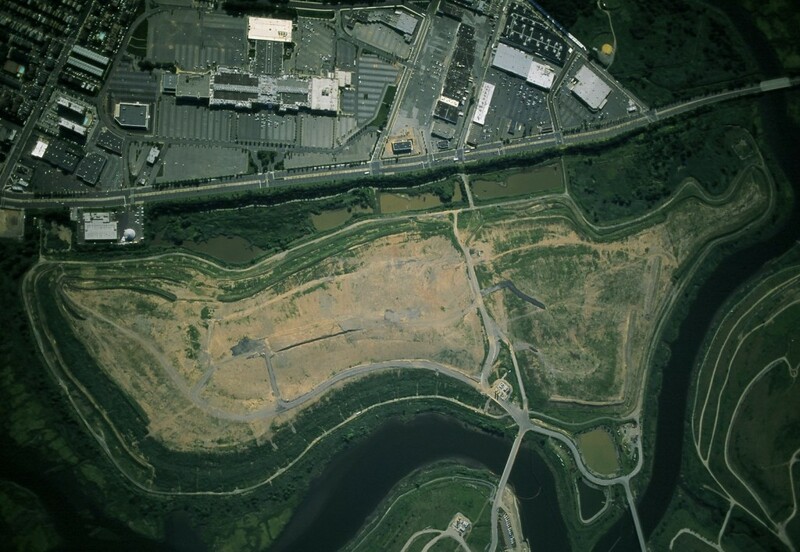 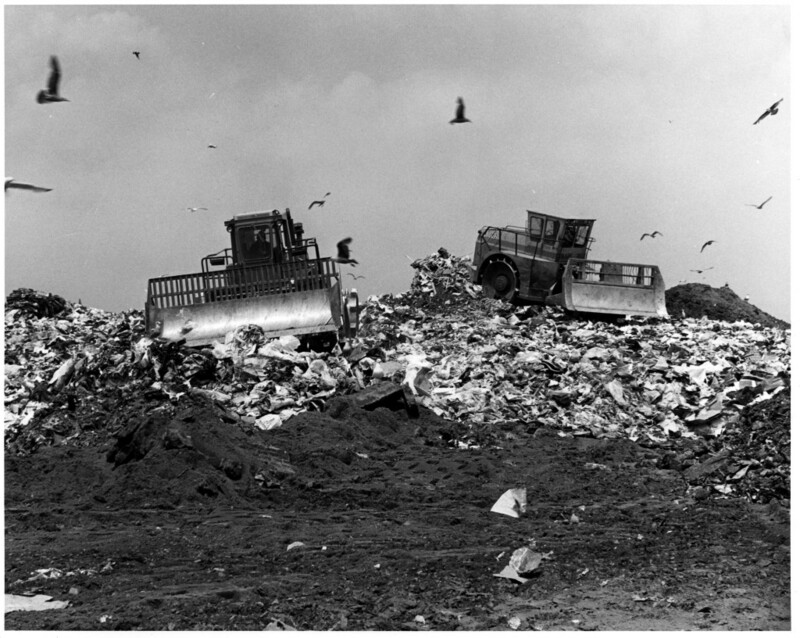 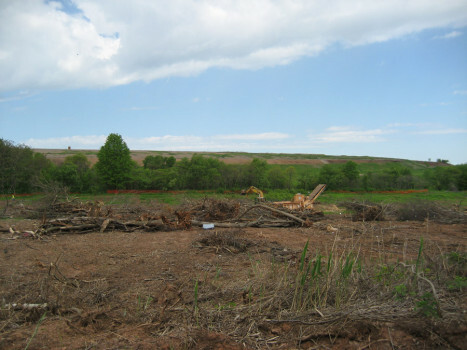 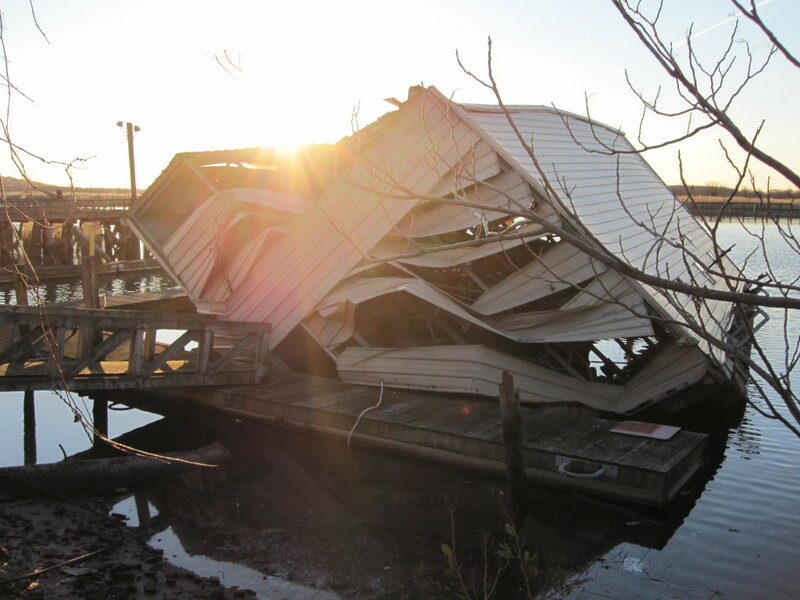 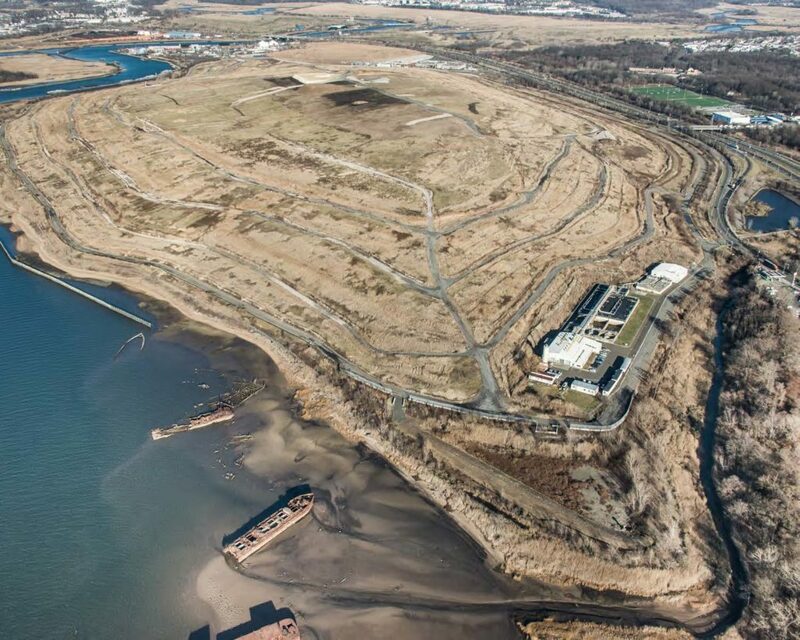 March 22: Fresh Kills Landfill received its last barge of household solid waste. 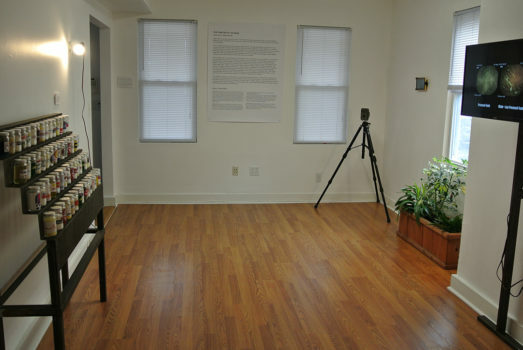 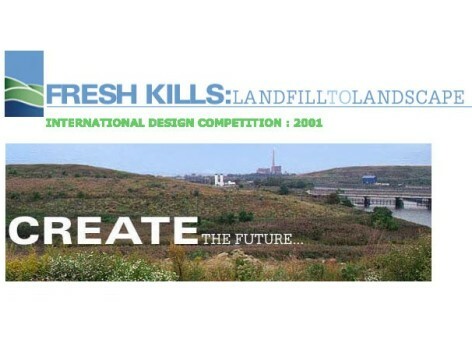 June: Landscape architecture firm Field Operations was selected as the planning and design consultant. 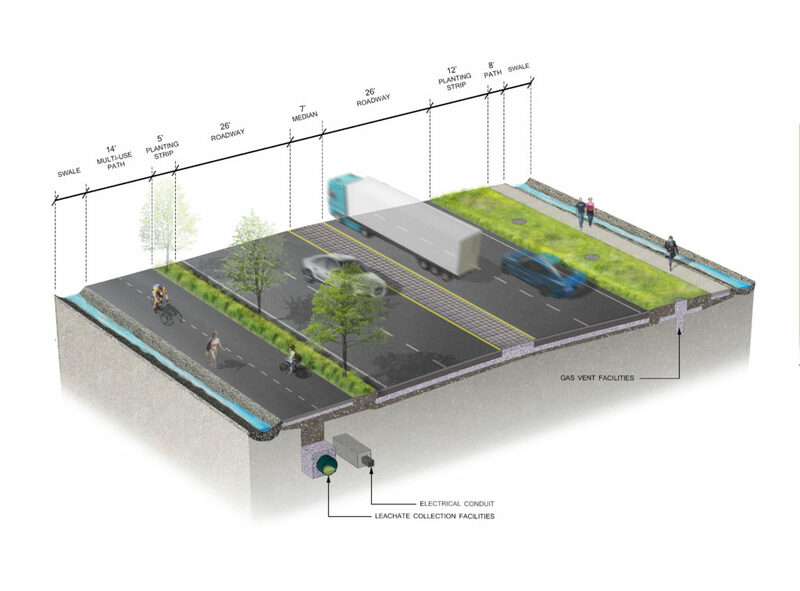 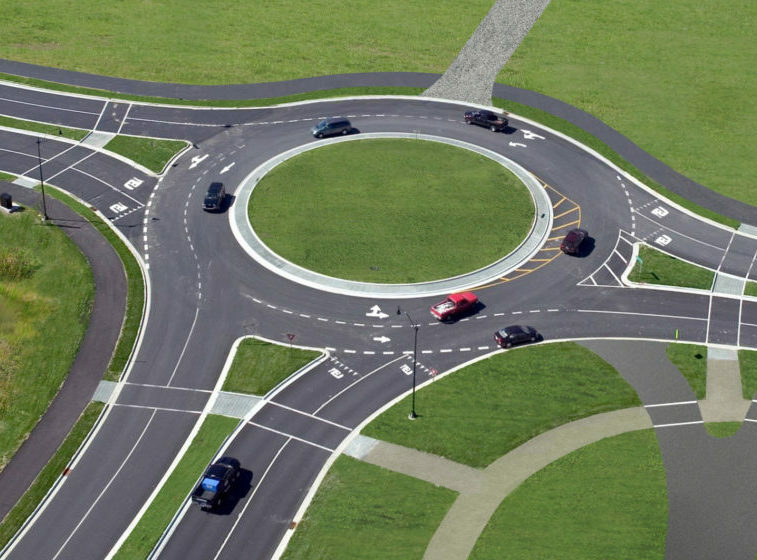 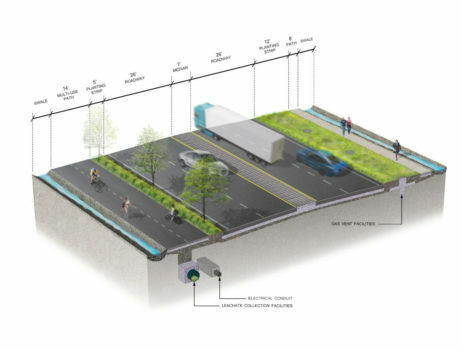 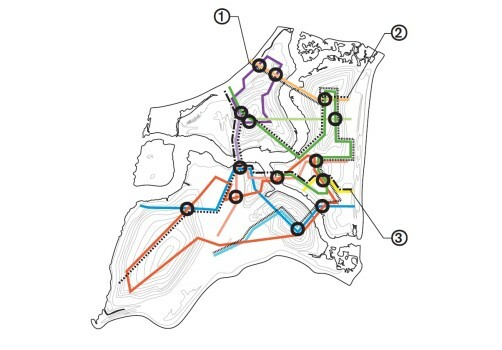 Image: NYC Department of City Planning. 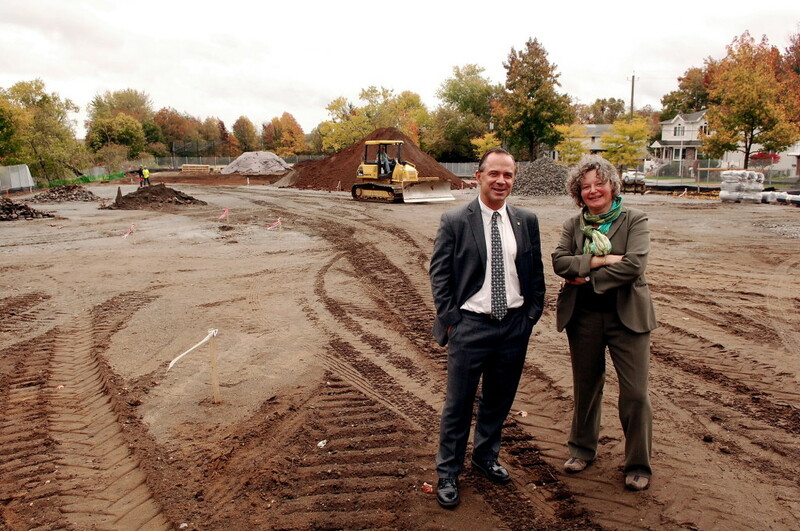 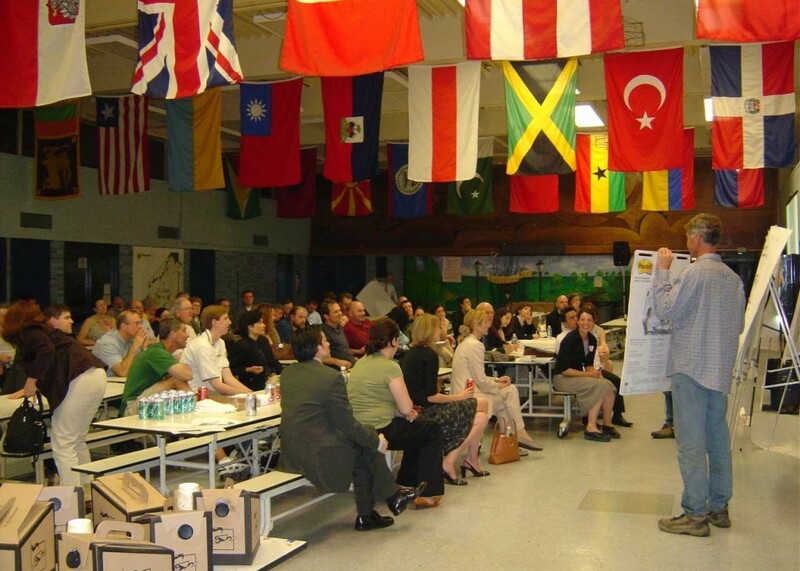 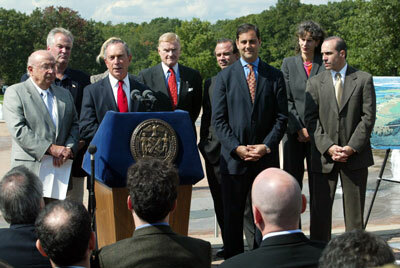 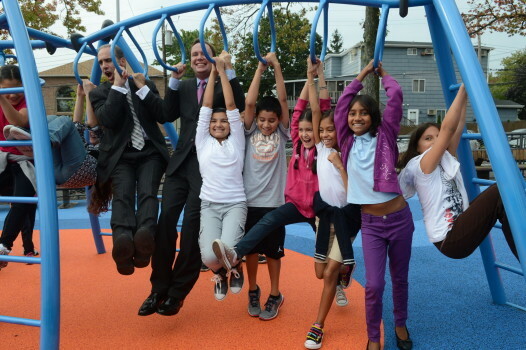 August 22: Mayor Bloomberg announced the creation of Owl Hollow Soccer Fields. 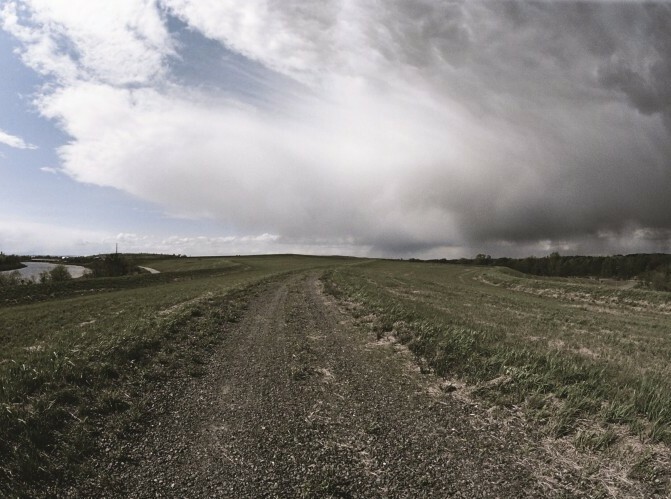 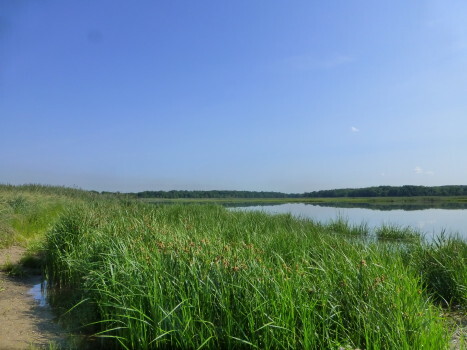 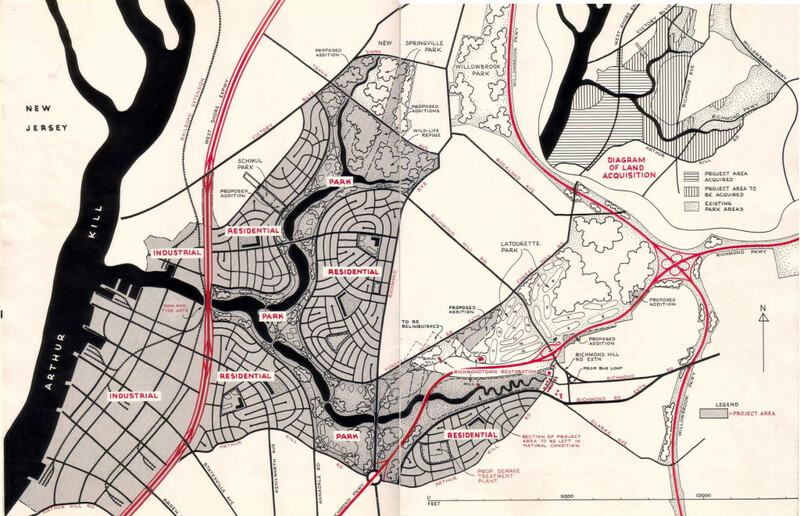 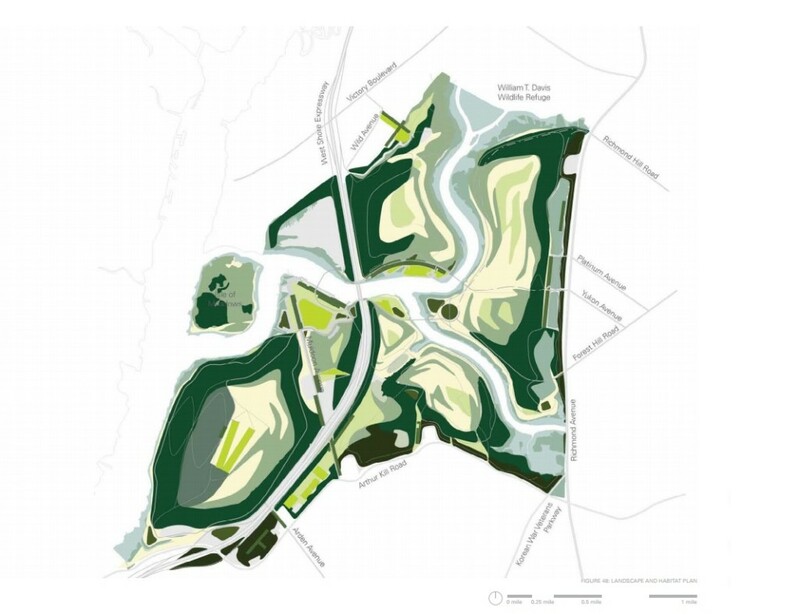 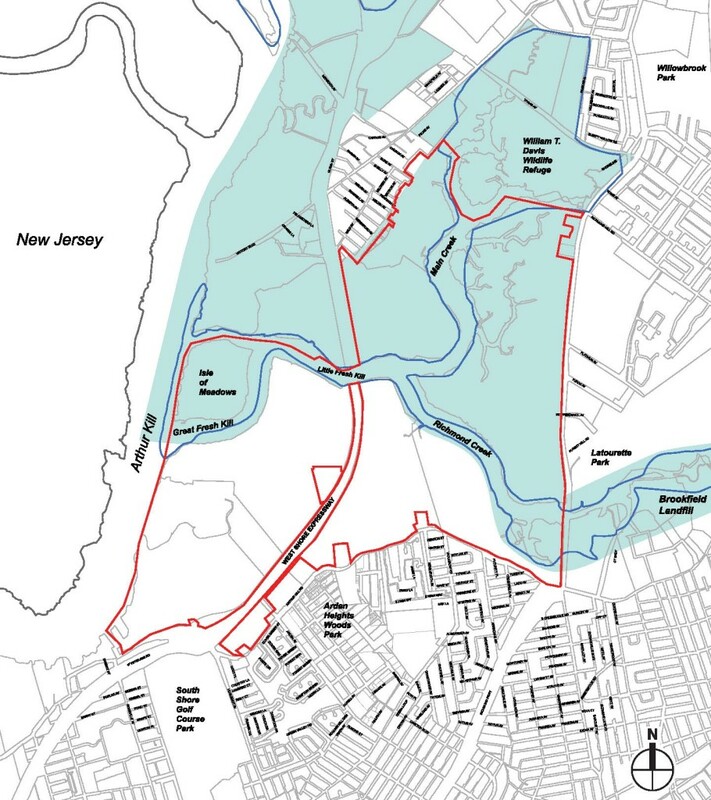 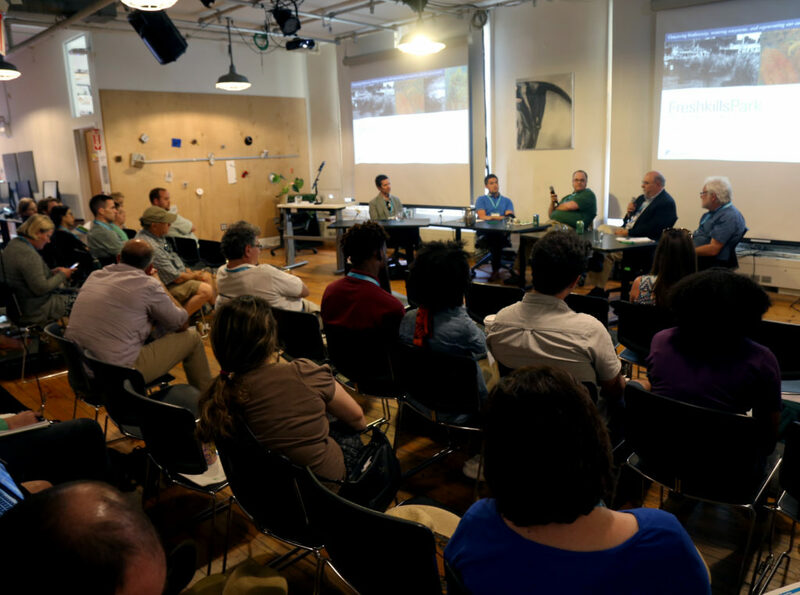 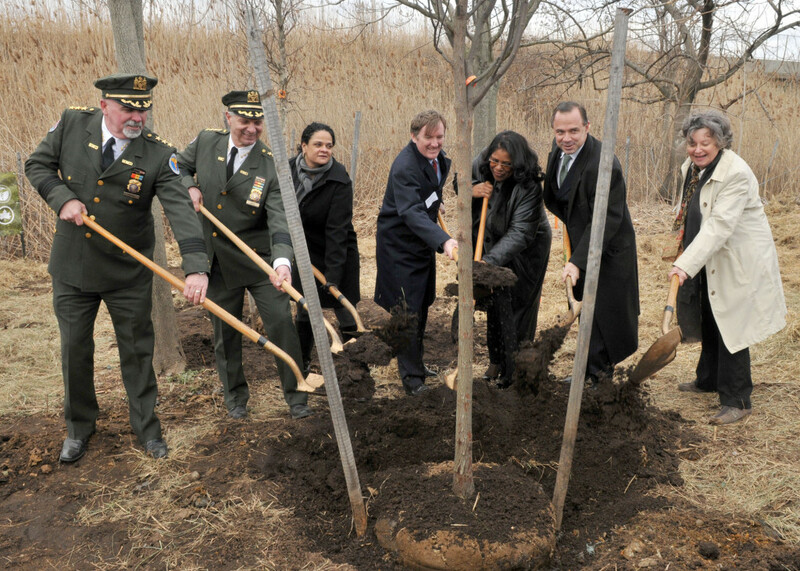 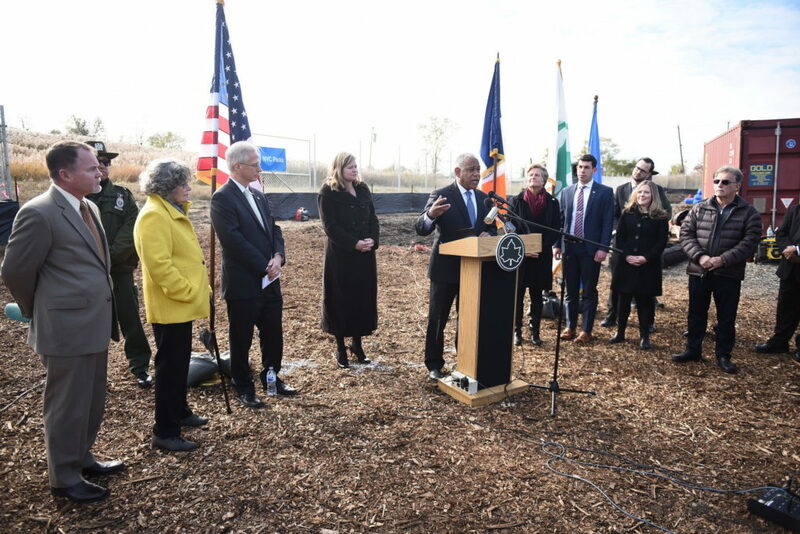 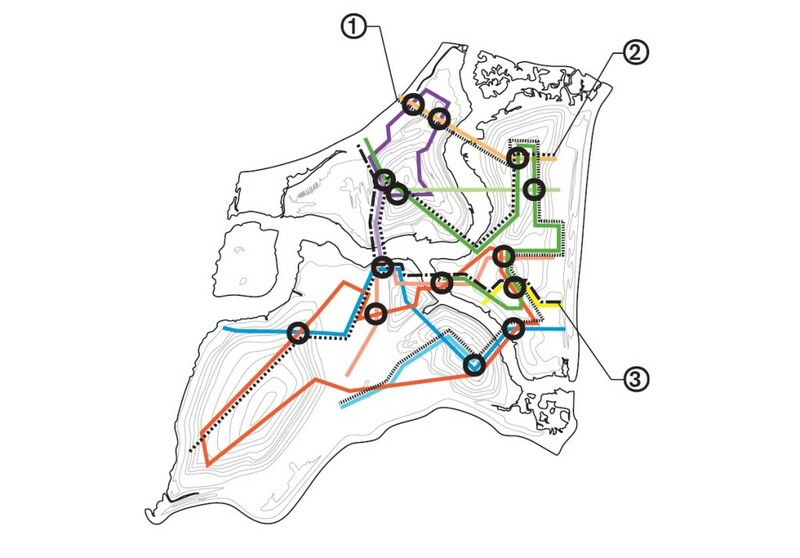 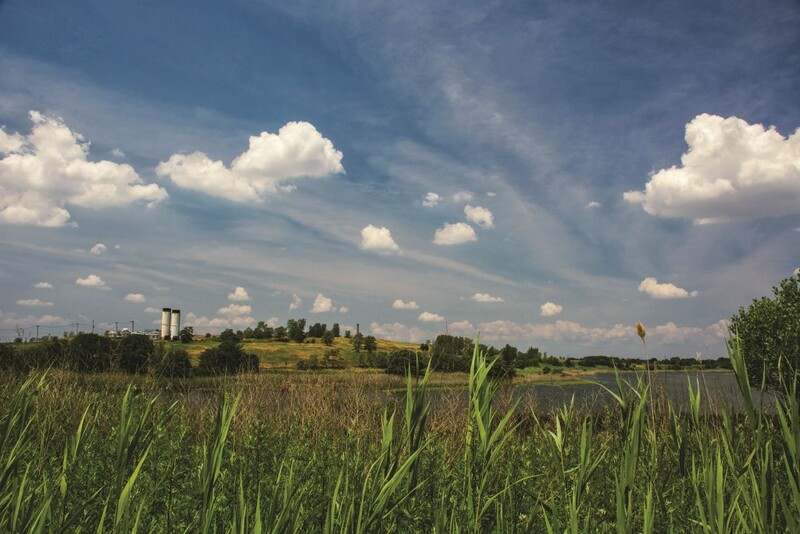 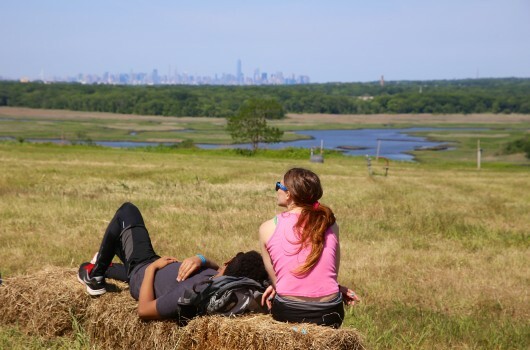 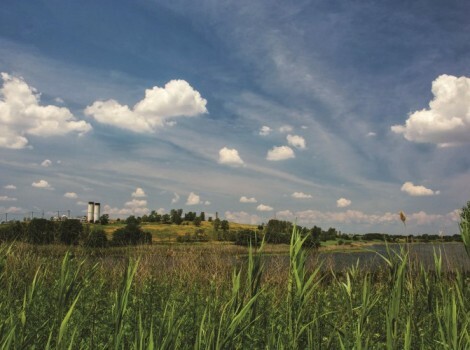 Mayor Bloomberg and City Planning Director Amanda M. Burden announced the release of the Draft Master Plan for Freshkills Park. 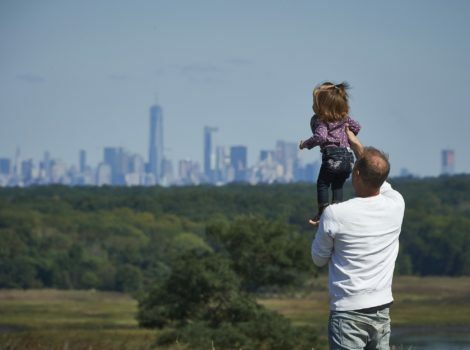 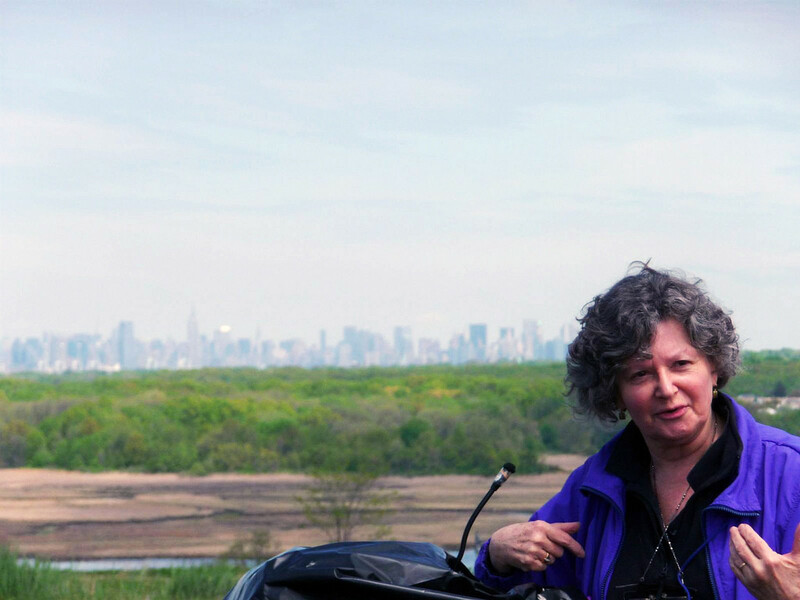 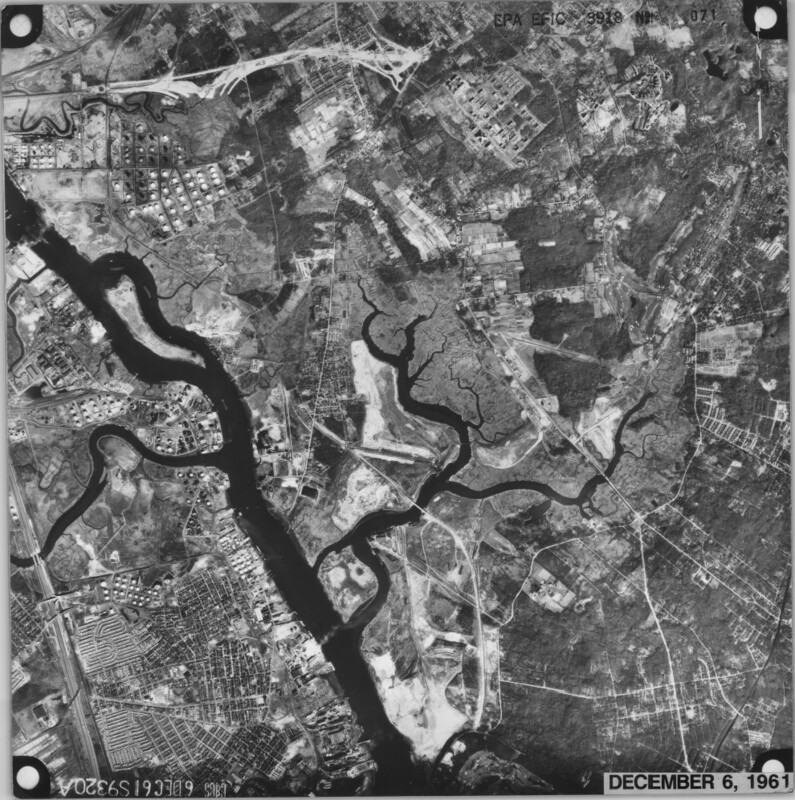 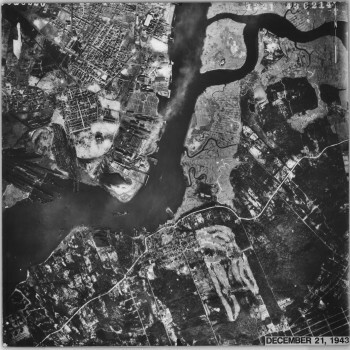 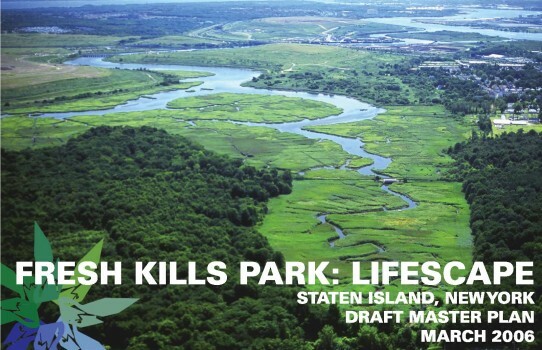 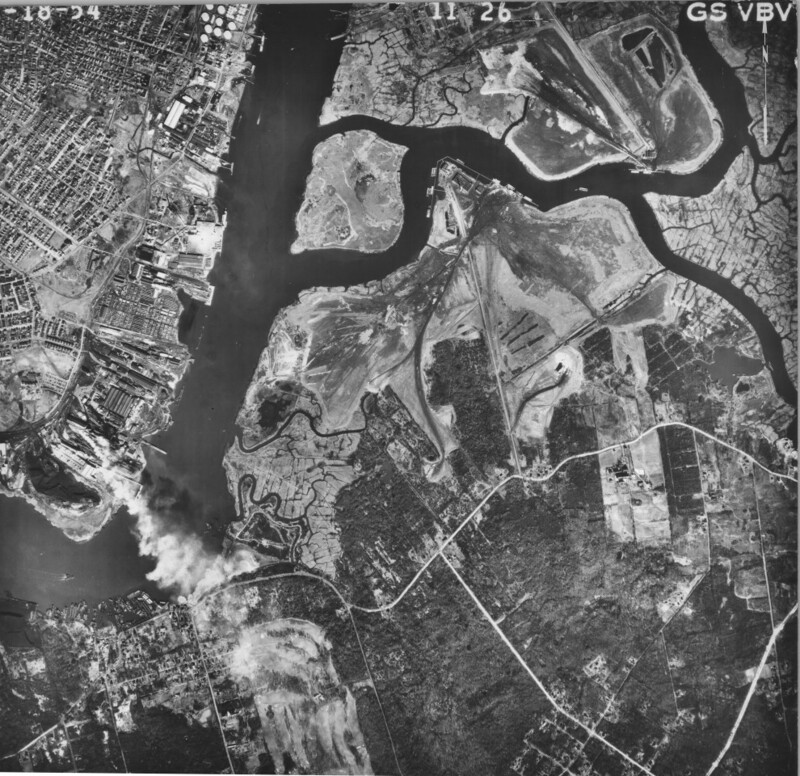 Video: “The Fresh Kills Story: From World’s Largest Garbage Dump to a World-Class Park.” One-hour documentary by Andy Levison, Staten Island Borough President’s Office. 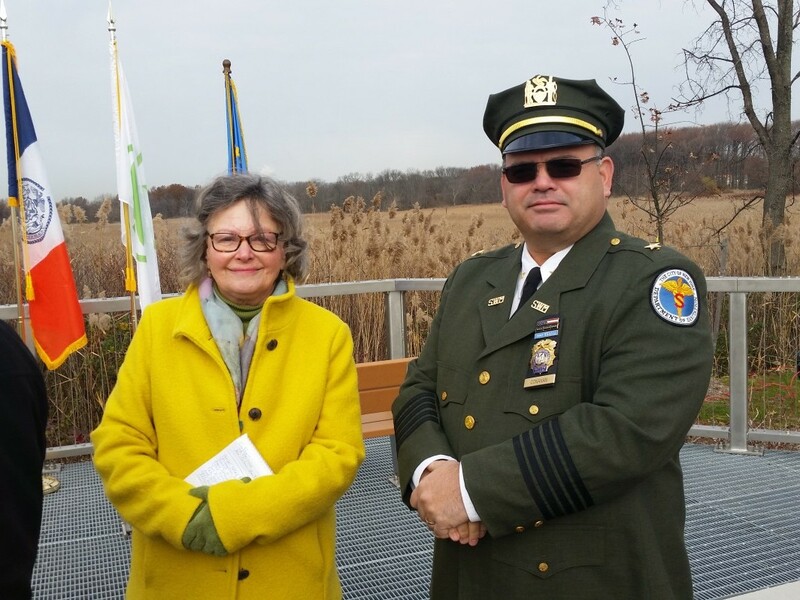 Presented by Borough President James P. Molinaro. 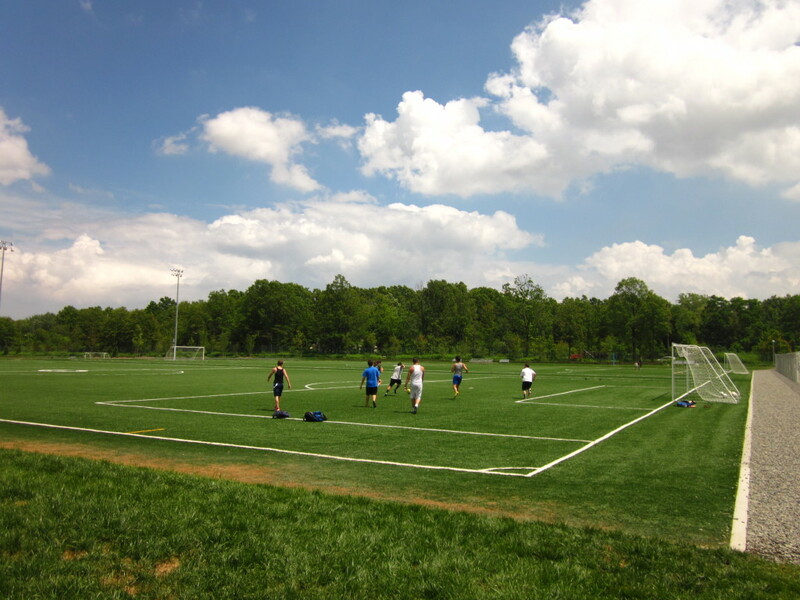 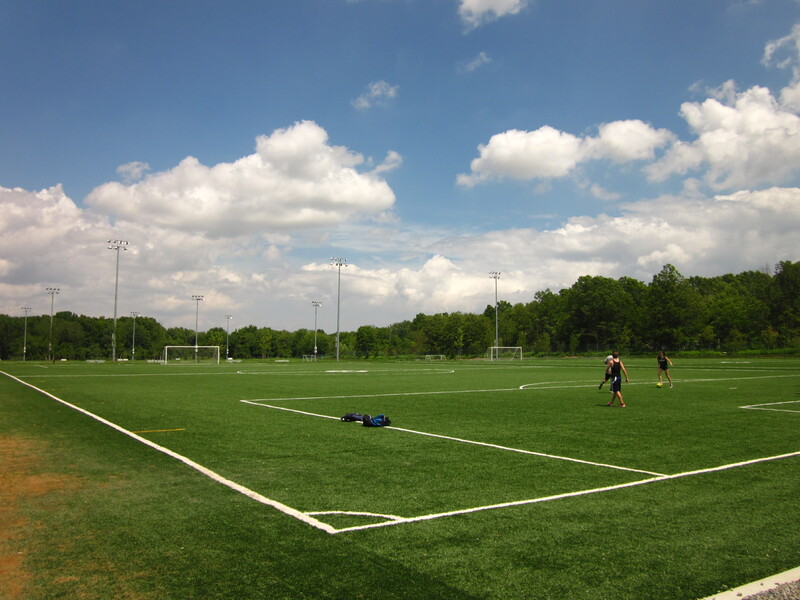 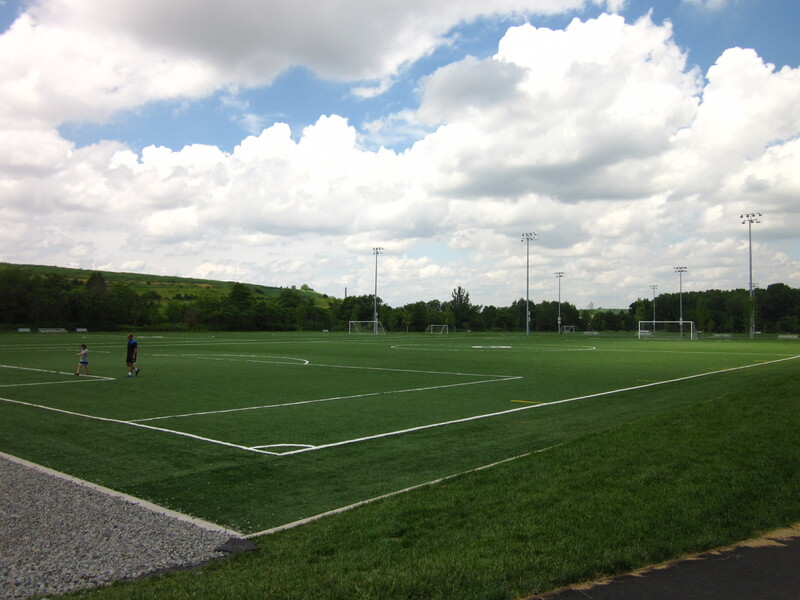 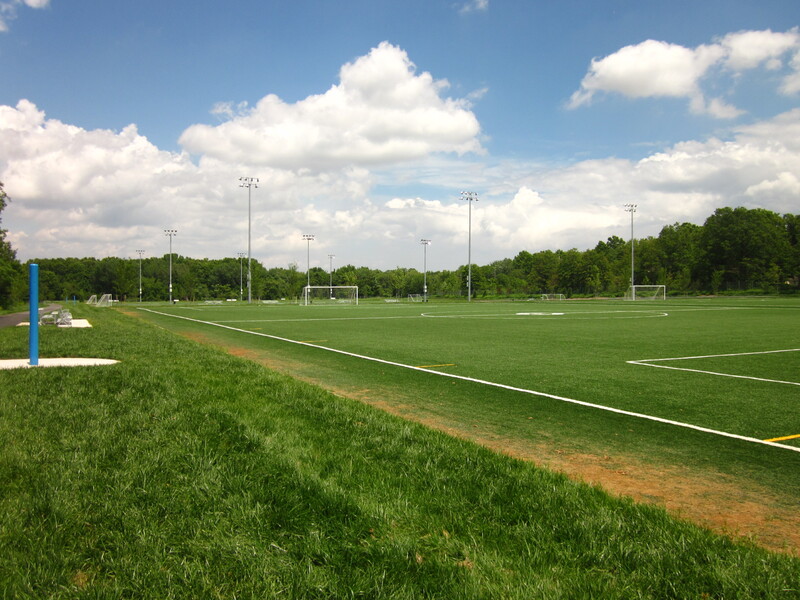 April: Owl Hollow Fields opened, with four soccer fields (two of which are lighted), and a landscaped path. The LEED certified comfort station remains to be built. 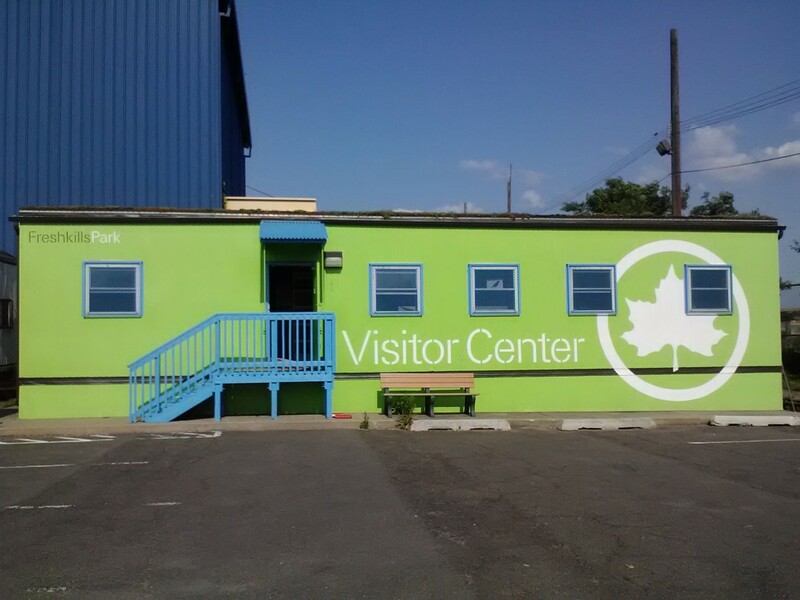 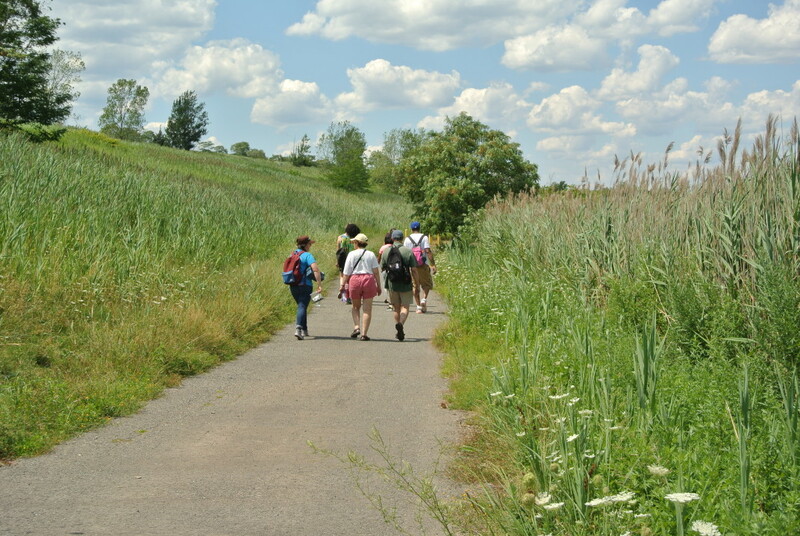 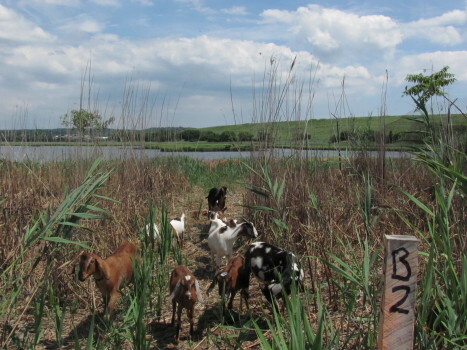 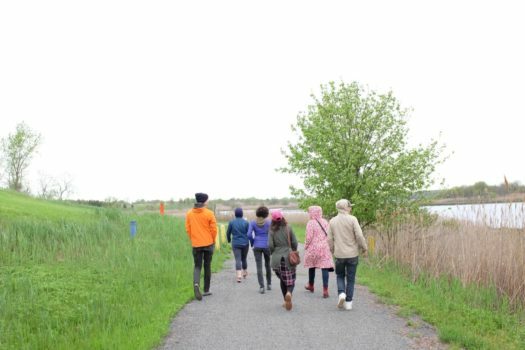 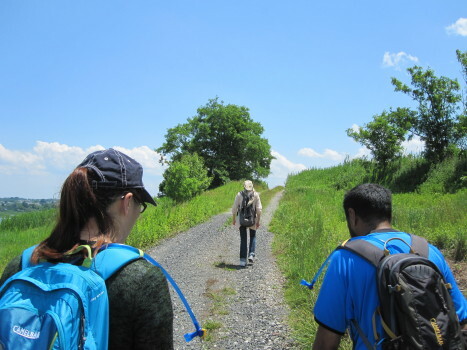 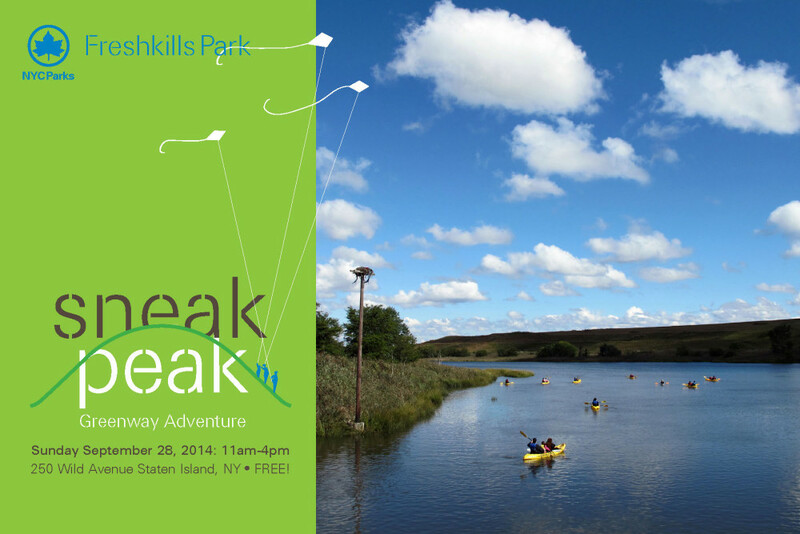 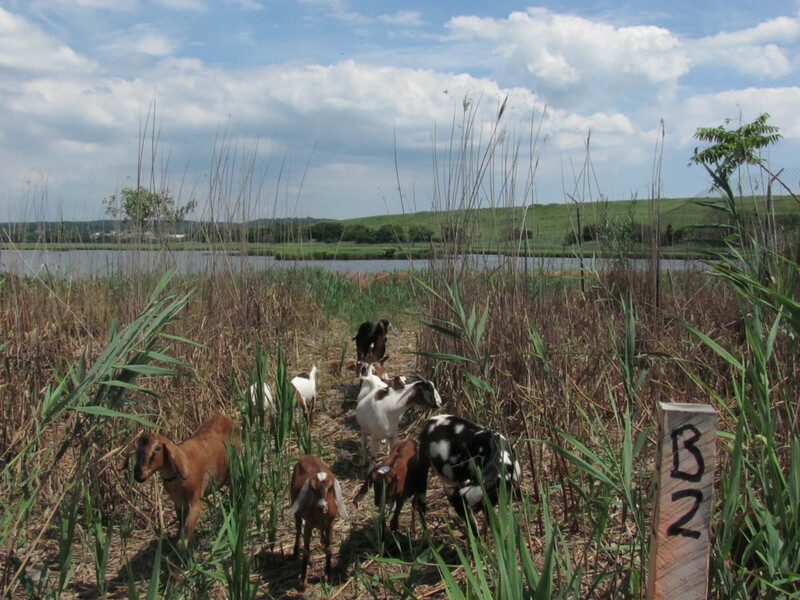 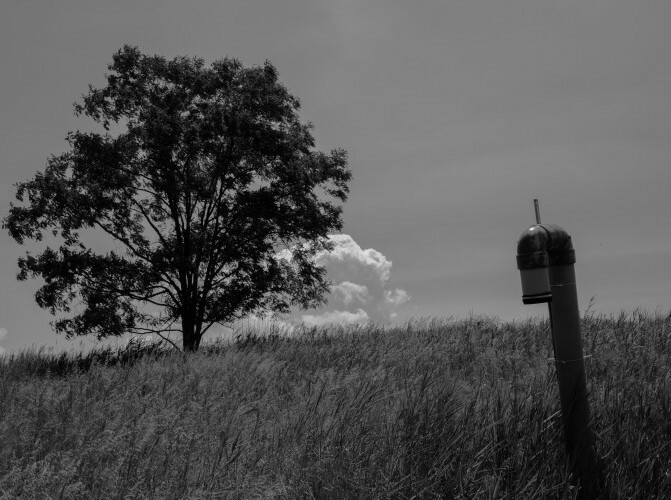 With the first hiking program at Freshkills Park, hiking becomes a regular part of the programs on site. On June 6, the Main Creek Wetland Restoration pilot project was completed. 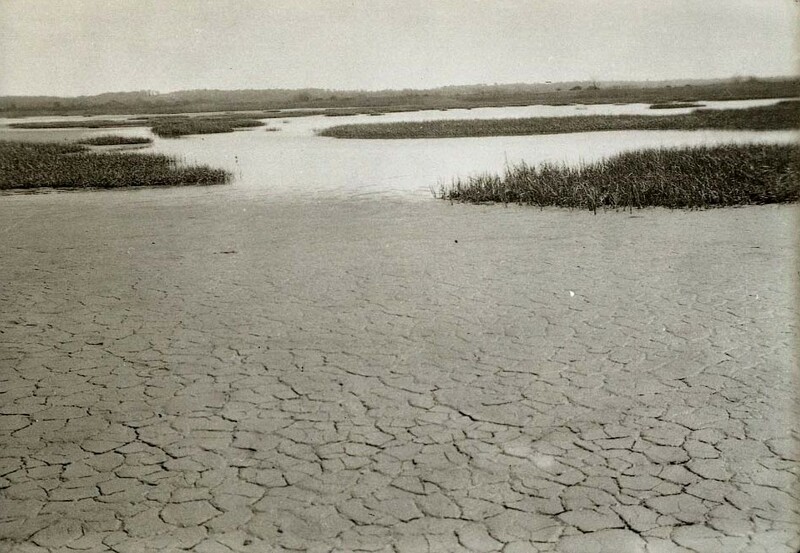 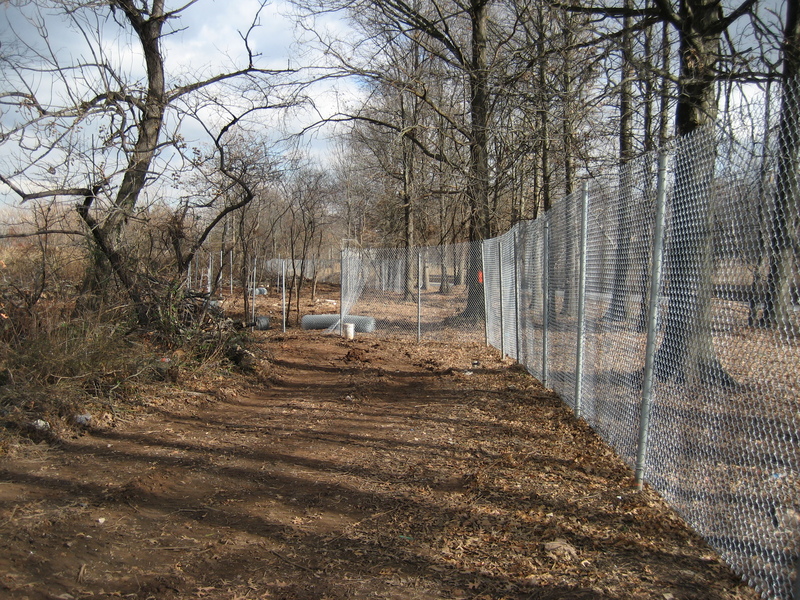 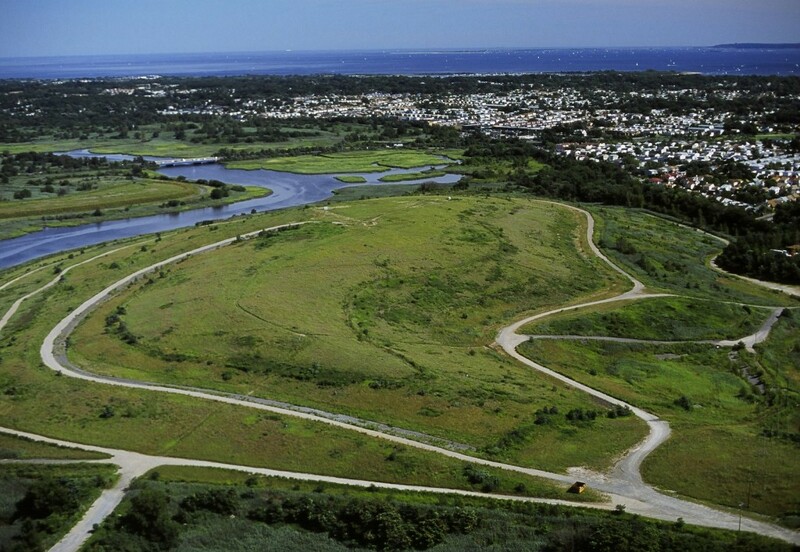 This project stabilized the shoreline, created new salt marsh habitat, and removed invasive species. 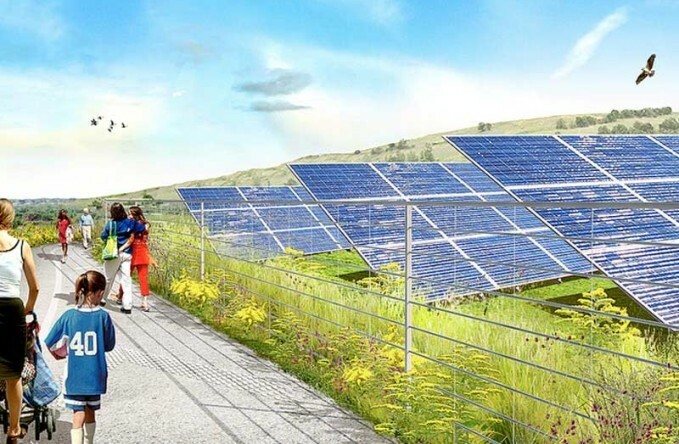 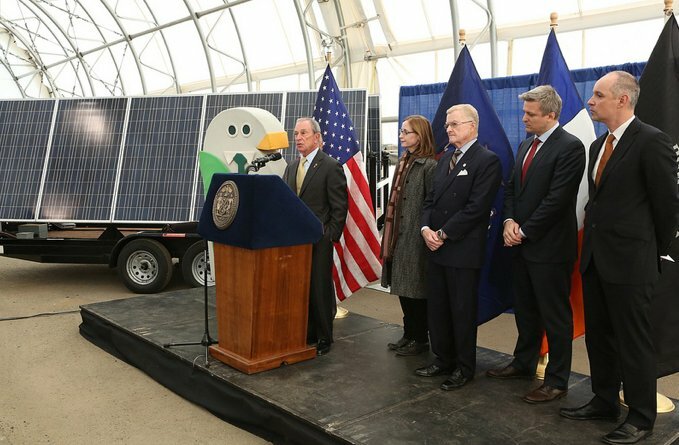 It was announced that Freshkills Park will host New York City’s largest solar array, large enough to power more than 2,000 homes. 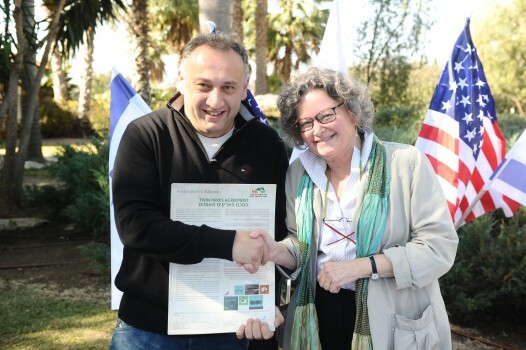 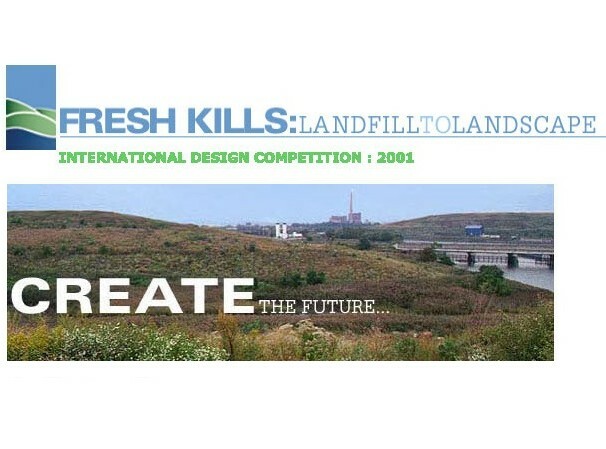 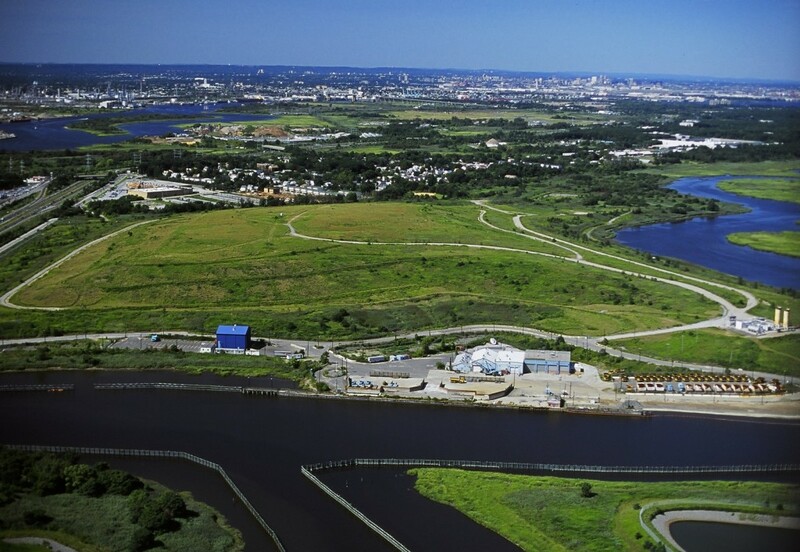 Freshkills Park entered into a sister park partnership with Ariel Sharon Park in Tel Aviv, a similar landfill to park conversion in a large city. 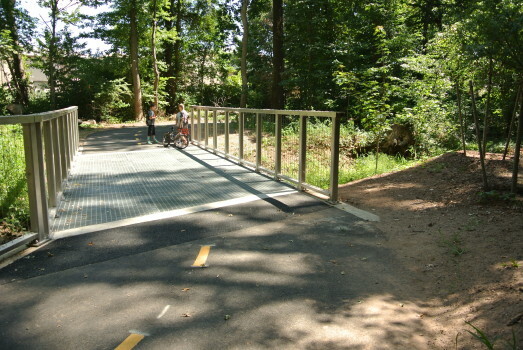 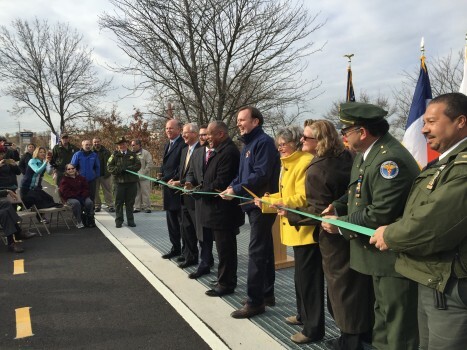 Construction on the New Springville Greenway was completed in the summer of 2015. 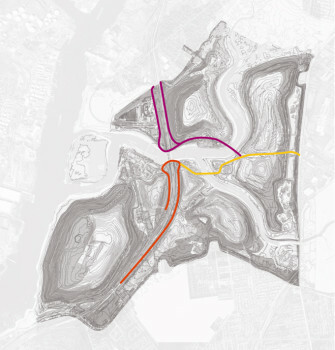 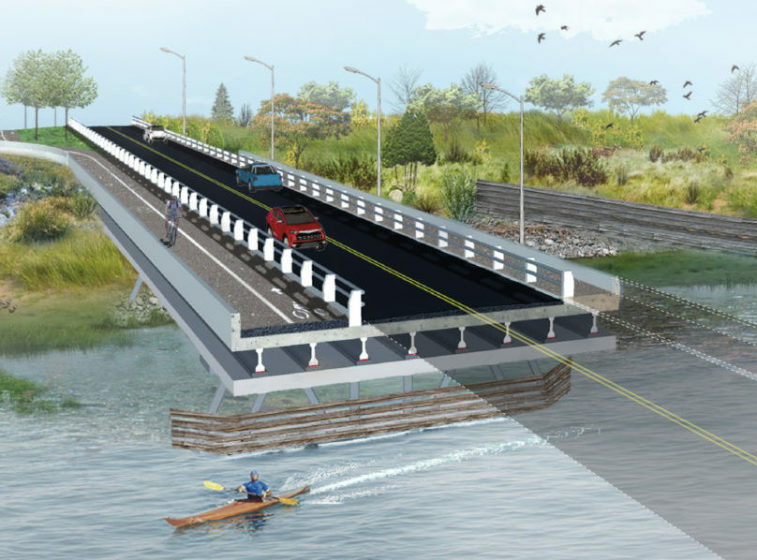 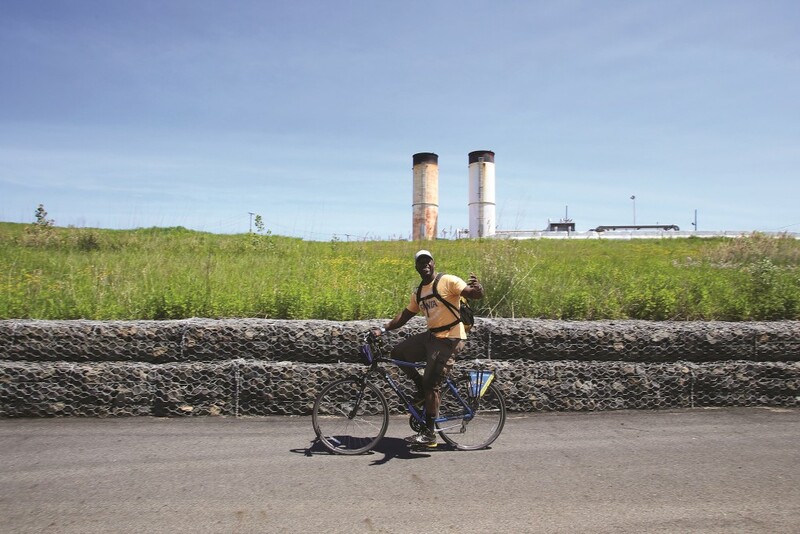 The 3.2-mile path along the eastern edge of Freshkills Park creates north/south bike access parallel with Richmond Avenue. Over 4,500 people visited the park during public events in 2015. 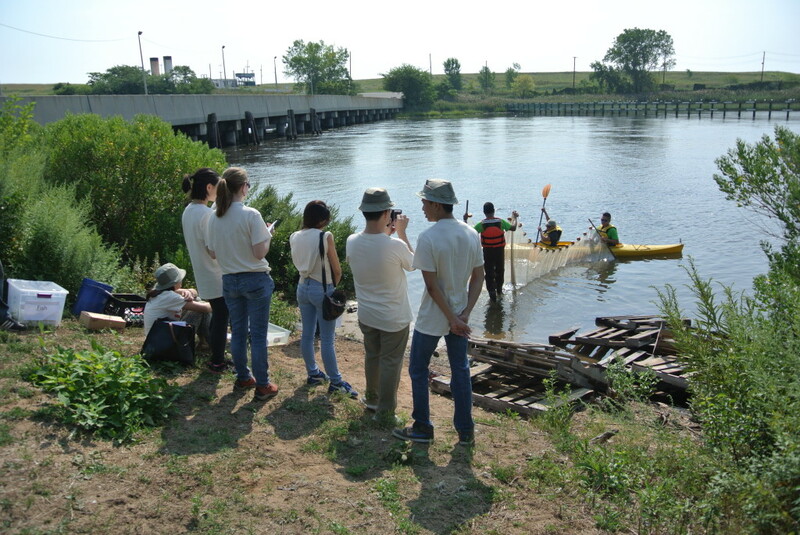 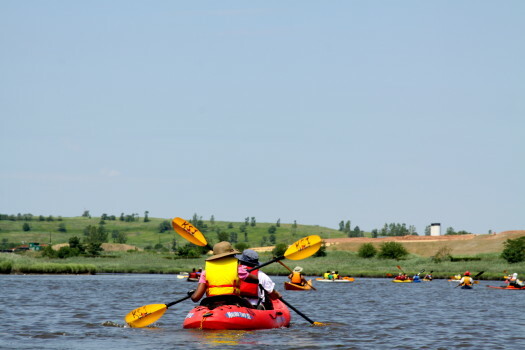 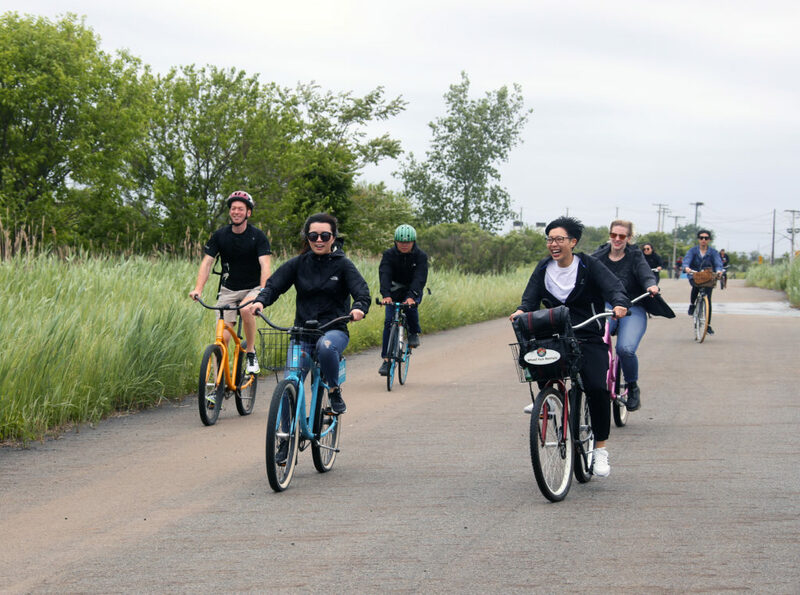 Two Discovery Days offered visitors the chance to discover the landfill-to-park project with kayaking, bikes, tours, and miles of hiking trails.